The Stone Park Fire Department in MABAS Division 20 has been added to the site. Stone Park is a small town surrounded by Melrose Park and Northlake along North Avenue at Mannheim Road with a population just over 5,100 and an area of .3 square miles. 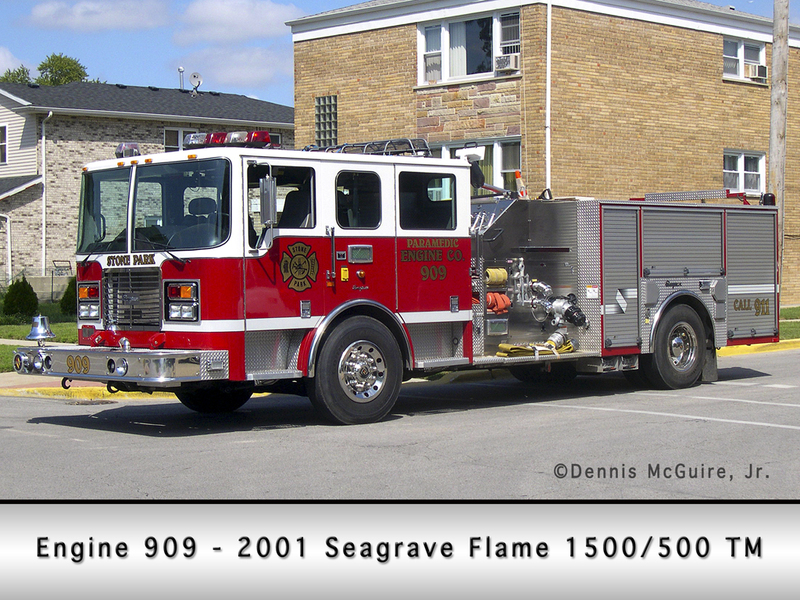 They have three pieces of apparatus including an Osage Type III ambulance, one of the few Seagrave Flame engines, and an E-ONE Quest. This entry was posted on February 16, 2011, 7:46 AM and is filed under Fire Department News, New Listing, Site News. You can follow any responses to this entry through RSS 2.0. Both comments and pings are currently closed. no job for me yet Chief? 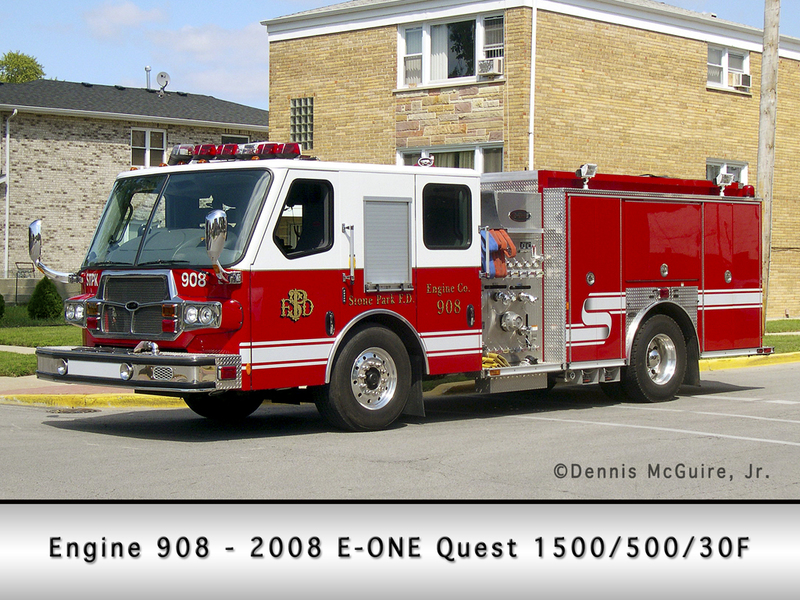 Engine 904 was sold when Stone Park took delivery of the E-One Quest engine. Last time I saw it (2010) it was sitting in a used car lot at Manheim and Lake st. Unknown what happened to the rig from here. What ever happened to the 1981 Spartan E-One engine they got from Bensenville?